Collision repair should come from a shop people trust. Certifications are the industry’s stamp of approval. D&S Automotive is Northeast Ohio’s number one collision repair center. That’s easy to say, but not easy to back up. It’s all lip service if you can’t find customers and clients to back it up. D&S is not only endorsed by local Chevrolet and GMC dealers as their body repair shop of choice in Lake and Geauga Counties, but we’ve got certifications from industry heavyweights like I-Car. What does that mean to you? Service from a company you can believe in. What does it mean when we say we are I-Car certified? Everybody probably says that, right? Companies can claim lots of things. They can say that they are endorsed by this company and that company, but it doesn’t mean much. 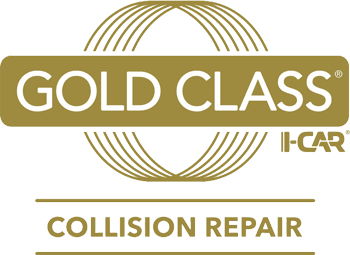 We received I-Car Gold Class Certification, which means that our team undergoes continuing education in all aspects of vehicle repair, so we are up to date on the latest innovations to all makes and models. Each member of the staff has to go through individual training and achieve excellence in each role that they undertake for the shop. In other words, they have to know everything, about every task they undertake every day. It’s not just a paper on the wall. It’s a testament to the dedication we show to our customers each and every day.